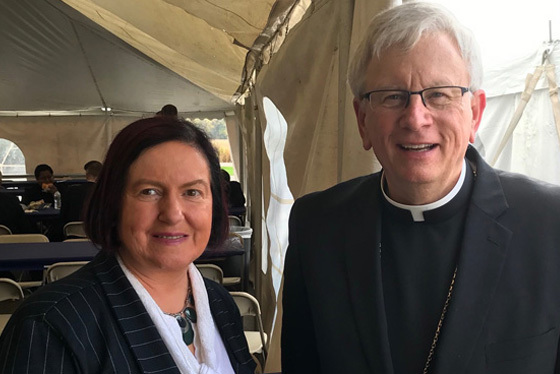 Marion Mulhall recalls 7 October 2018, when she was guest speaker at Our Lady of Good Help National Shrine At Green Bay Wisconsin – the only approved apparition shrine in the USA. It was the feast of Our Lady of the Rosary and I felt so blessed to be there on my first visit. Corrie Campbell, Communications Director at the shrine, along with the shrine Rector Father Broussard and the shrine team had planned my visit so perfectly. I felt at home immediately, even though I had travelled all the way from Ireland. From my first meeting with Corrie at the airport in Green Bay, every aspect of my visit unfolded perfectly. As we drove from my hotel to the shrine on the Sunday I was pleasantly surprised to be in such a remote place, with cornfields as far as the eye could see, an orderly landscape with scattered farm buildings and trees turning to their magnificent autumn colours in the early morning sunshine. When we finally turned into the shrine grounds, the church first caught my attention. I felt an immediate sense of elation being in this sacred prayer-filled place where Our Lady appeared to Adele Brise on 9 October 1859. Our Lady said she was ‘the Queen of Heaven’ and asked Adele to ‘gather the children in the wild country and teach them what they should know for salvation’. Adele did this with great vigour and enthusiasm for very many years, gathering a community about her to aid her mission. Under the main church building is a magnificent crypt with a truly beautiful statue of Our Lady, marking the exact spot where the apparition took place there 160 years ago. I felt a great peace coming over me and I knew my visit there was going to be blessed. I first prayed for all my family, followed by friends and in particular for our dear priests. I then lit many candles to keep my prayer intentions burning before Our Lady’s statue. I attended Sunday morning Mass at the shrine and the church was packed to full capacity with parents and children, along with individuals and pilgrims from far and wide. After the Mass lunch was served in a nearby building where I would later be the guest speaker. I was there to talk about my 1994 vocation to ‘Promote the priesthood at any price’, followed by an inspiration – from Our Lady I believe – ten years ago of ‘20 countries 20 mysteries’. 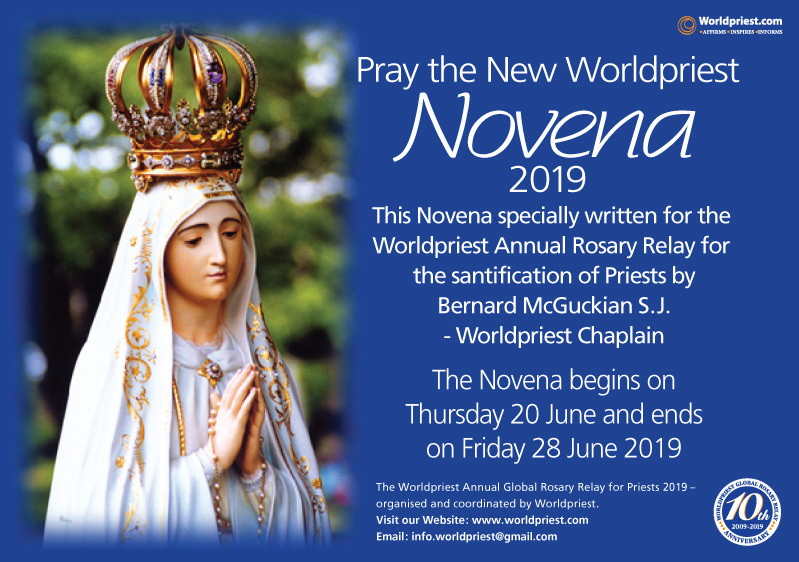 This, inspiration has now grown to become the largest day of prayer in the world – the Worldpriest Annual Global Rosary Relay for the Sanctification of Priests, which this year on 8 June united some twelve to fourteen million people worldwide as one family in prayer for our priests. 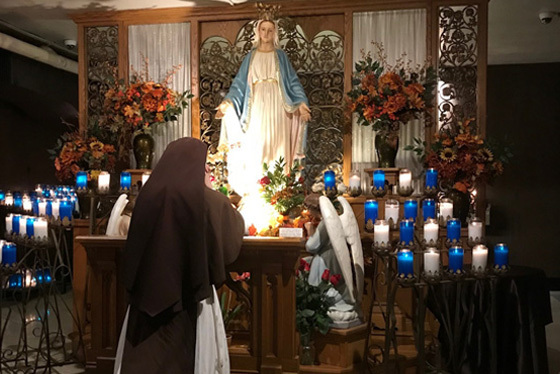 This has included prayerful participation from the unique shrine in Green Bay which attracts many people from all over the USA for this special Rosary relay day – a participation which began ten years ago and has been repeated annually, bringing many graces to this sacred place. I shared my story with pilgrims, individuals, families and some children from many locations throughout the USA on special pilgrimage to attend the day’s celebrations. We had great interaction, as I like to involve an audience and which helps makes my speech more personal. I understand, having listened to much feedback, that all were most pleased with my address. I would like to take this opportunity to sincerely extend my gratitude to all at Our Lady of Good Help National Shrine for the much appreciated invitation and warm hospitality. I closed my address quoting a famous local man Vince Lombarid: ‘Once a man has made a commitment to a way of life, he puts the greatest strength in the world behind him. It’s something we call heart power. 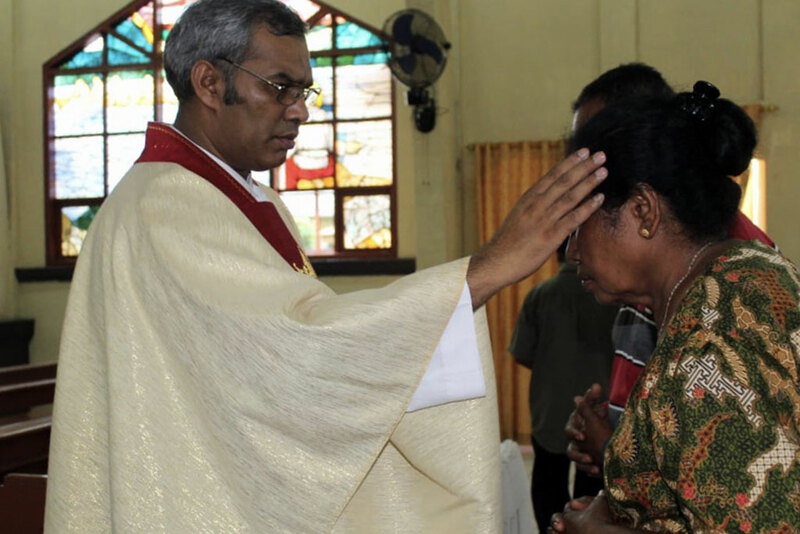 Once a man has made this commitment, nothing will stop his success.’ This is the essence of the prayer power and faithfulness to a vocation behind the success of the Worlpriest Global Apostolate. Tuesday of that week marked the anniversary of the famous Peshtigo Fire, when the shrine was miraculously protected by all people from surrounding lands praying the rosary through the night at the shrine. All land and properties outside of the shrine were burnt to the ground, but the shrine was untouched. Bishop Ricken of the Green Bay Diocese along with priests of the diocese and a large group of pilgrims gathered for the anniversary Mass. It was also a special day of prayerful reparation for our Church in these times. I had the opportunity to meet and talk to Bishop Ricken to discuss the Worldpriest Global Apostolate in more detail, as well as the Global Rosary Relay for the Sanctification of Priests and to hope for an extended participation of his diocese in this great day of prayer. 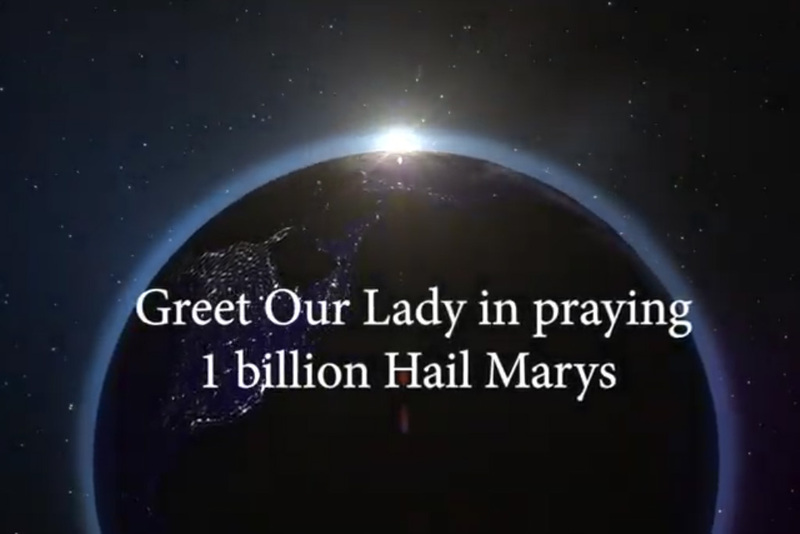 We also discussed every Thursday Rosary Thursday and as to why we have developed same as a signifient content item on our website for all to use and share. 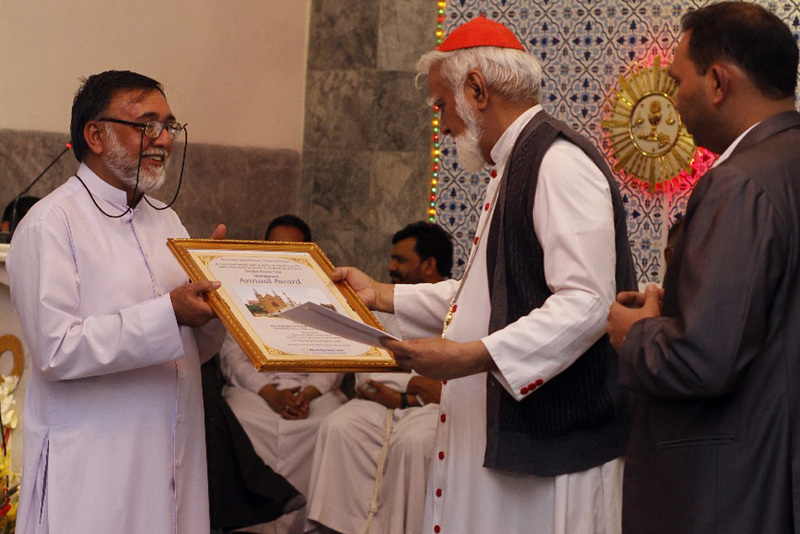 I assured the bishop that we would keep him fully informed about all future happenings at Worldpiest. It was also a most blessed opportunity to meet and greet many priests of the diocese attending the special day of prayer at the shrine. 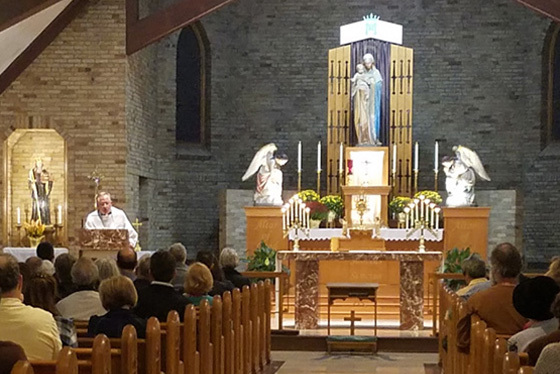 Later that evening we had a joyous prayer service in the church, followed by a magnificent candle-lit Rosary procession, with all praying together in the late Wisconsin night air encircling the shrine in praying the rosary. Afterwards there was all night Eucharistic Adoration in thanksgiving for the protection by Our Lady of this sacred place. 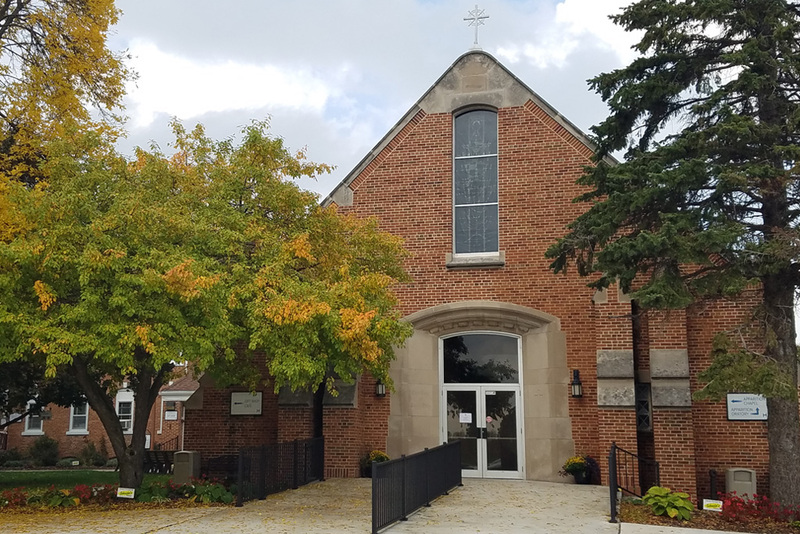 So my first visit to Our Lady of Good Help and Green Bay was a most blessed experience – one I will treasure for many years to come. If you ever have the opportunity to visit Our Lady of Good Help Shrine please share that blessing with family and friends. 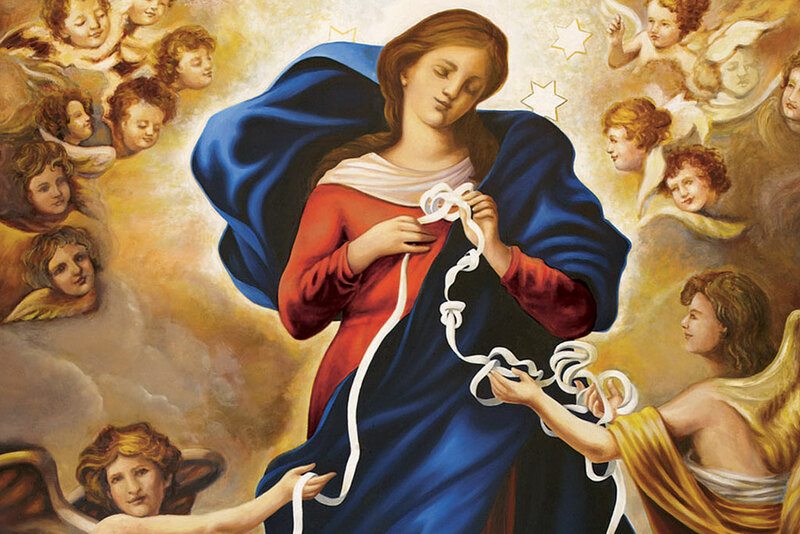 Our Lady of Good Help pray for us. www.shrineofourladyofgoodhelp.com for pilgrimage details visit.